Originally only thought to exist "The Lost Trident Sessions" represent the 3rd masterpiece album which unfortunately was lost and hidden in the Columbia Records vaults for over 25 years. Bootleggers had inferior sounding copies in circulation floating about costing loads of money and being hailed as Jazz's holy grail. Finally the tapes have re-surfaced and have been incredibly re-mastered sounding fresh and very clean. 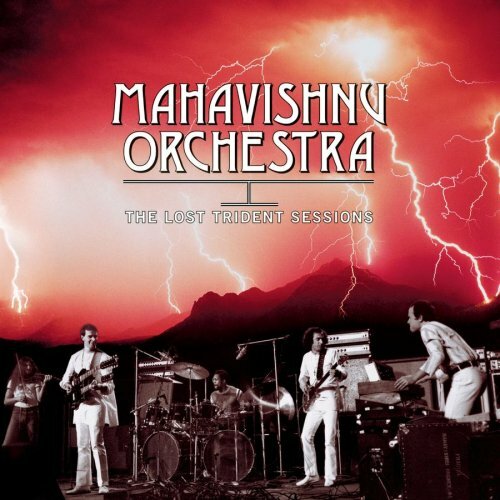 MAHAVISHNU ORCHESTRA were perhaps the best fusion band of the seventies led by John McLaughlin (guitarist) , Jan Hammer (keys), Billy Cobham (drums) , Jerry Goodman (violins) and Rick Laird (bass). Like the music found on their first 2 albums, "The Lost Trident Sessions" is as intense with the same complexity of instrumentation carrying that unmistakable MAHAV flare. Their music is ever shifting and probably more harmonically sophisticated than anything else that came out at the time and contains an instrumental virtuosity and expressiveness that musicians still aspire to today. How the hell this album never got released is beyond me... according to the liner notes, the band were at sorts with each other and never agreed enough at that time on the material to warrant apparently the 3rd release. For my tastes, the best fusion group to ever exist and "The Lost Trident Sessions" is an essential piece of history even if it is 25 years too late.